Hand painted football Glasses with your favorite team logo's for America's favorite pass time......or at least one of the top......Football. What better way for a guy to celebrate his favorite football team than drinking from football glasses hand painted with the logo of the sports team of his choice. 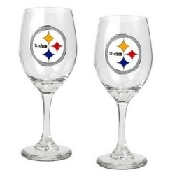 Clearly Susan hand paints original one of a kind football glasses for football lovers with several football designs on one glass. 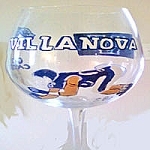 Our customers love their sports and we hand painted wine, beer, martini, margarita and shot glasses. 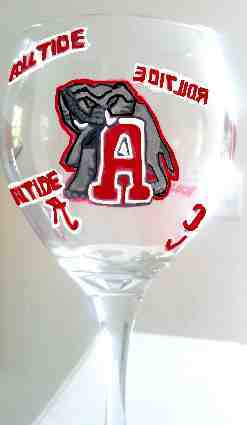 What's Your Favorite Football Team That You Would Like Hand painted On Football Glasses?